plus loads of other kit for offroad or road use ! 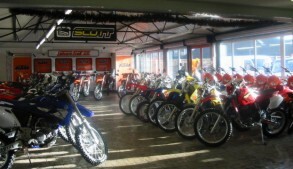 We carry all of the KTM EXC Enduro range, MX, Duke 125/390/690, 690 Trail, Super Moto range, 1190/1290 LC8 Vee twin models. 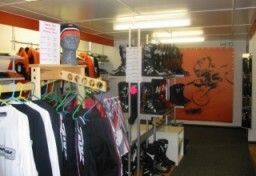 We also stock the KTM Schoolboy MX and Mini bikes. As KTM main dealers we offer full backup (service, parts, aftermarket accessories and KTM's warranty). Full stock of spares and accessories for Honda CRM250, Suzuki DRZ400 plus tyres, chains & sprockets and brake pads for al other off-road bikes. We are all still very active off-road, regularly out trail riding or competing in trials or the occasional enduro.